The moment a woman racially abused an Asian passenger on a Sydney train has been caught on camera, as stunned commuters watched on during a minute-long rant. The verbal attack occurred about 9:30pm on a service between Chatswood and Epping on May 11. The video was filmed on a mobile phone by another passenger, who provided it to ABC News on the condition of anonymity. “I feel bad I couldn’t help the girl but I am also Asian and I was worried I would also be attacked if I stepped in,” they said. “I hope the video can make people aware of this issue and stop racism in Australia. They said the incident was sparked after the alleged victim noticed the abuser littering, and asked her to clean up the mess. 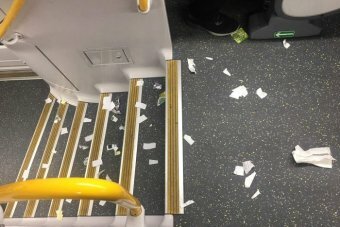 Sydney Trains chief executive Howard Collins said there were 1.3 million journeys per day on the city’s trains “but one incident like this is too much”. “The important thing I want every single one of my customers to know is if you see something like that, tell us straight away,” he said. 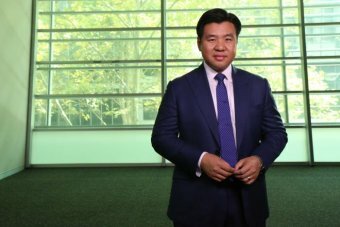 Australia’s racial discrimination commissioner Dr Tim Soutphommasane said incidents like this were more common than you might think. “If a perpetrator of a racist act has done so because of mental illness, you would hope that their wellbeing is looked after,” he said. He described the video as “the tip of an iceberg” and argued most incidents of racial abuse were not caught on camera. This entry was tagged ABC News, anti-Asian, racism, racist, racist rant, Riley Stuart, Sydney Trains, Ursula Malone. Bookmark the permalink.